Time. The one thing sales professionals never have enough of. Yet it takes time to identify and engage prospective buyers. Do this successfully and it’s time well spent. Do it efficiently and it’s even a better use of your time. So how do successful sales pros get closer to their prospects with efficiency? Let’s explore a few ways LinkedIn’s sales team uses Sales Navigator — and hear in their own words why it’s their must-have prospecting resource. Nothing speaks louder than numbers in the sales world. LinkedIn’s research shows that reps who use Sales Navigator perform better than their colleagues, on many counts. They view four-and-a-half more decision-maker profiles, and connect with twice as many of them. 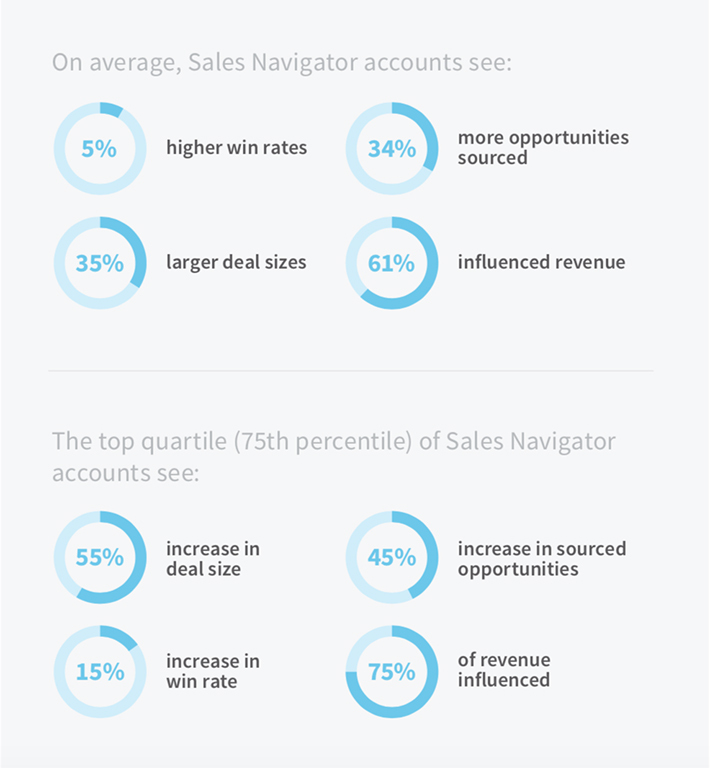 Sales Navigator users also see their InMails accepted at 5x higher rates than cold calls. If you’re thinking, okay that’s great and all, but the numbers that truly matter are those tied to the bottom line, you’re right. That’s where Sales Navigator users truly shine. They’re winning at higher rates and closing larger deals. Using Sales Navigator’s Advanced Lead and Company Search, LinkedIn’s sales pros quickly zero in on the right accounts and buyers. “With Advanced Search it is very easy to narrow down the people you want to talk to in certain industries and in certain geographies and with certain seniority levels as well,” explains Pamela Tsao, LinkedIn Sales Solutions Consultant. The LinkedIn sales team also loves that, based on their history, Sales Navigator makes intelligent suggestions about potential leads. This feature can prove useful in unexpected ways. Identifying the best prospects is important but meaningless unless you can connect with them. The challenge is finding a way and reason to engage. Sales Navigator’s TeamLink feature automatically shows connections between prospects and your coworkers. LinkedIn’s sales team uses this to find the best path for introductions. LinkedIn Relationship Manager George Lukaszewski found another pathway by using Sales Navigator to keep tabs on engineers that had worked at a company he closed but then moved to a different company. Based on the previous relationship, he asked for and got a referral. Sales Navigator also alerts users about buyers’ activities on LinkedIn, such as sharing content, commenting on a post, or even being mentioned in the news. 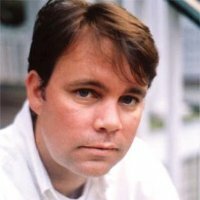 Here’s how Brent Hicks, Global Account Executive describes the value: “It’s like I have a strong pulse on what’s going on within a company, what its employees are discussing." These are just a sampling of ways LinkedIn sales pros more efficiently get closer to prospects using Sales Navigator. LinkedIn’s sales team also takes advantage of the LinkedIn CRM Sync feature in Sales Navigator to automatically save their leads and accounts, and log Sales Navigator activity to CRM with a click. Without leaving Sales Navigator, LinkedIn’s sales pros can use InMail to reach LinkedIn members who aren’t first-degree connections. And using the PointDrive feature, they can package and share content with buyers, then track engagement to gauge interest and determine next steps. For more examples of how invaluable Sales Navigator is to the LinkedIn sales team and how you can use it for prospecting success, check out our new guide, Get Closer to Your Prospects.